This book is the first authoritative, systematic and comprehensive text to define the increasingly important and evolving specialty of paediatric palliative care. It explores both the clinical aspects and the multidimensional and holistic nature of care for the dying child, based on the knowledge that all human experience has a physical, emotional, psychological and spiritual impact. The book covers ways of providing support in all of these areas both for the child, families, and carers, recognising the importance of teamwork and taking an evidence-based approach. The Textbook of Interdisciplinary Pediatric Palliative Care, by Drs. Joanne Wolfe, Pamela Hinds, and Barbara Sourkes, aims to inform interdisciplinary teams about palliative care of children with life-threatening illness. It addresses critical domains such as language and communication, symptoms and quality of life, and the spectrum of life-threatening illnesses in great depth. This comprehensive product takes a first-of-its-kind team approach to the unique needs of critically ill children. It shows how a collaborative, interdisciplinary care strategy benefits patients and their families. If you deal with the complex care of critically ill children, this reference provides a uniquely integrated perspective on complete and effective care. This comprehensive textbook is the first to be written by practitioners working in Africa specifically to meet the palliative care needs of children. It provides practical guidance by improving access to, and delivery of, palliative care in this demanding setting. 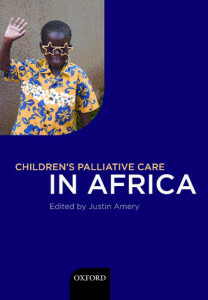 Written by a group with wide experience of caring for children with life-limiting illnesses in Africa, and edited by Dr. Justin Amery, the textbook addresses key palliative care themes, which are crucial to expanding the provision of children-s palliative care. While the book is primarily aimed at health and social care professionals, and is written with sufficient depth to be of use to specialists, its style is accessible for a range of other people concerned and involved in the care and treatment of children with life-limiting illnesses. The textbook is available to download free of charge in full or by individual chapters from this website. Children’s Palliative Care in Africa is published by Oxford University Press with the support of The Diana, Princess of Wales Memorial Fund. Providing an in-depth look at the issues surrounding the palliative care of children, this innovative text considers both malignant and non-malignant cases, and the specialist treatment required. The interdisciplinary contributor team spans both education and practice, and chapters contain features by various members of the palliative care team. Advances in medical science and technology are saving the lives of more children worldwide than ever. Some survive and live out a normal life expectancy, others have a life-limiting/life-threatening diagnosis where death may come early, and still others will live on well past projected life trajectories into adulthood. With so many different care pathways, children, parents and communities often find themselves facing challenges for which neither they nor their healthcare systems are prepared. This book opens a global discussion of these issues. Extending Rita Pfund’s text Palliative Care Nursing of Children and Young People, it invites paediatric palliative care professionals, parents and children from around the globe to share their knowledge and experience. 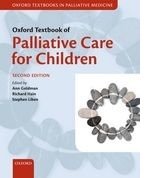 This book is of vital interest to palliative care professionals, parents, policy makers and academics. It is an important move towards ensuring that all children and their families, regardless of geographical location, gender, ethnicity or socio-economic class have equal and guaranteed access to comprehensive paediatric palliative care services. Written by leading authors in pediatrics and palliative medicine, this comprehensive resource emphasises practical topics and covers the entire range of issues related to the hospice environment. The fully updated text describes several different models of care, the developmentals stages of children’s understanding of death, the crucial aspets of pain and symptom management including psychological distress and discusses the special circumstances of neonatal and AIDS-related deaths. The book offers practical advice for providing emotional and spiritual support to staff, grieving parents, and surviving siblings, as well as helpful tips for teachers and classmates who interact with these children. F.A.A.H.P.M., and Sarah E. Friebert, M.D., F.A.A.P., F.A.A.H.P.M. 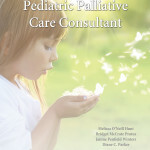 The first of its kind, this book describes pediatric palliative care in more than 23 countries. Each region in the world is covered and countries included are both resource poor and rich. Authors are multidisciplinary and regarded nationally and internationally in their field. Clinicians, advocates, policymakers, funders, and researchers will learn how programs were developed and implemented in each country. 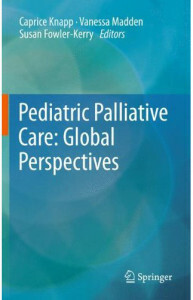 Authors describe children for whom pediatric palliative care is needed and provided for in their country. When applicable, a brief history of pediatric palliative care is included noting especially policy changes and legislative acts. For example, the chapter on Poland describes how pediatric palliative care grew from the Catholic church into a national movement spearheaded by several health care workers. The Pole national spirit that brought them through a change in political regime has also been a driving force in the pediatric palliative care movement. The chapter on South Africa, for example, illustrates how a resource poor country has been able to leverage philanthropic and government funding to make its dream of having an infrastructure of pediatric palliative care a reality. These are just a few examples of the inspiring stories that are included in this book. Readers from countries who wish to start a pediatric palliative care program, or advance an existing program, will learn valuable lessons from others who have faced similar barriers. Introduction and concluding chapters highlight the strengths and weaknesses of the modern pediatric palliative care movement. Pediatric Palliative Care Consultant (PPCC) is intended to be a quick reference guide for palliative symptom management in pediatric patients. The authors and collaborators have systematically reviewed and collected the pertinent literature and resources related to pediatric palliative care and compiled the information into concise guidelines for effective management of symptoms. Each chapter provides relevant background information regarding the symptom, as well as non-pharmacological and pharmacological treatment options. The pharmacological options are then displayed in comprehensive drug tables, followed by step-by-step algorithms that walk practitioners through patient specific symptom management. The disease states seen in pediatric palliative care patients are often quite different than those seen in adult palliative care patients, therefore overviews of common pediatric life-limiting conditions are also included. The aim of this guide is to equip all practitioners with the resources necessary to provide basic pediatric palliative medicine, regardless of their pediatric training, or lack thereof. This book can be used as a clinical resource, as well as an educational tool. 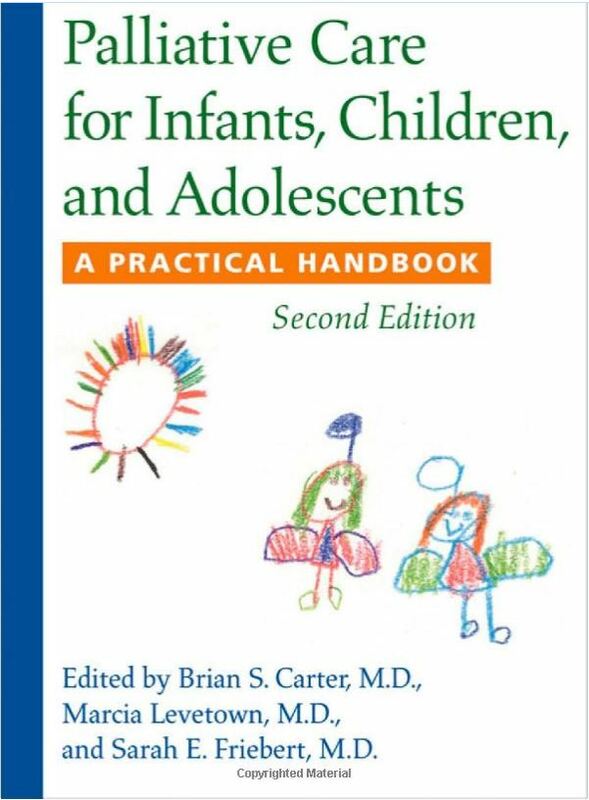 For those experienced in treating pediatric patients, this book can become a resource for support of current practice and a quick reference guide. 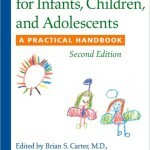 For those who only occasionally treat pediatric patients, this book can become a learning guide and a resource to ensure symptoms are appropriately treated in pediatric patients. 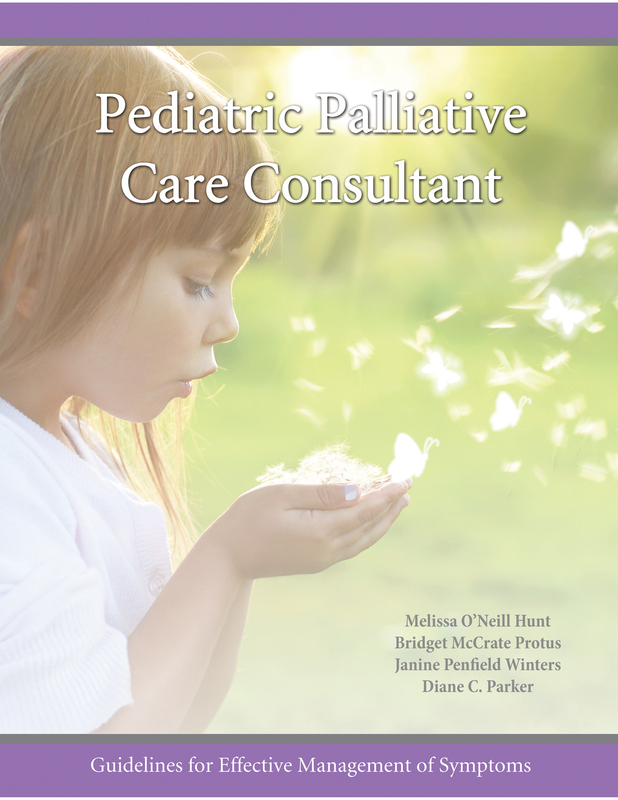 For educators, this book may be used as a training guide to address the basics of pediatric palliative care and assist learners in developing a comprehensive plan for symptom management in pediatric patients. This reference was designed to provide practical recommendations and improve symptom management in pediatric patients. It is the hope that this tool will aid all professionals who deal with pediatric patients with chronic, life-limiting conditions, whether they have pediatric specific training or rarely see a pediatric patient. ICPCN members can use the discount code W9FGKKAU when ordering on www.hospibooks.com to receive 25% off the price of this book. Supporting the Child and the Family in Paediatric Palliative Care provides a comprehensive overview of good practice in caring for terminally-ill children, young people and their families. Drawing from extensive personal experiences of working in paediatric palliative care, the author provides guidance on issues including symptom management and pain relief; cultural, religious and spiritual aspects of care; and the role of education for life-limited children. Addressing the importance of individual needs, the book looks at emotional, social and cognitive support at different stages of the illness, how parents and professionals can respond to children’s own questions about death, and the impact of life-limiting illness on the whole family – including grandparents and siblings. The material offers helpful suggestions on how to support families in making informed choices during distressing periods, such as where their child will die and how to prepare for the funeral. This book is a practical and invaluable tool for nurses, paediatricians, hospice care staff, bereavement counsellors and all those caring for life-limited children.